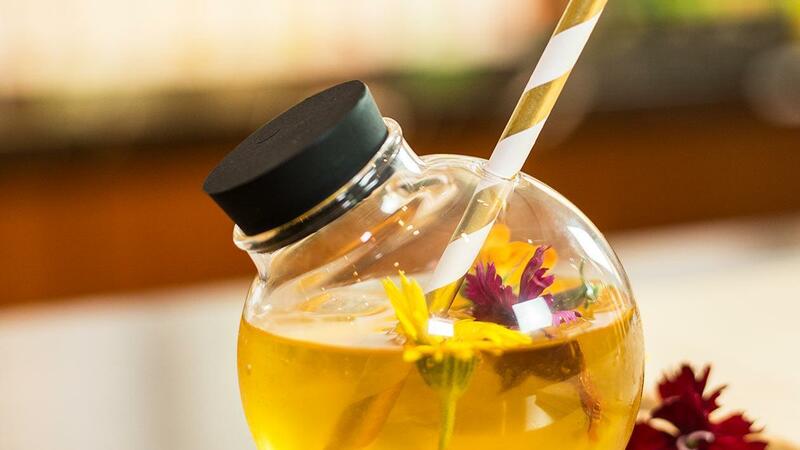 Floral flavours are set to be the next big thing - get ahead of the trend with this drink! In a mixing jar, add in 100ml of pre-brewed tea, Monin elderflower syrup and Carte D'Or honey topping. Add ice and stir well. Strain into serving glass and top up with soda.